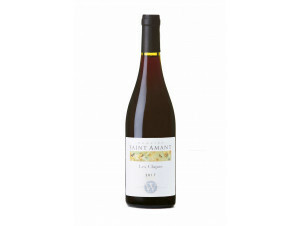 Domaine Saint Amant covers 13 hectares, Suzette, in Vaucluse, at the top of the AOC "Beaumes-de-Venise," one of the best vintages of red wine Côtes du -Rhône. The estate hangs on the southeast slope of Mount Saint Amant, in the heart of the Dentelles, known for their unique terroir. The high altitude (between 400 and 620 m) contributes to the richness of its characteristic aromas, the freshness of its vintages, the delicacy and balance of the wines. Each of its land is lovingly cultivated; the winery is modern (1995) and buried in order to meet an exceptional environment; the harvest is done by hand, on a month by a small team; natural winemaking are: steeping by gravity, spontaneous addition of yeast for red wines, minimum SO2, temperature control ... The annual production is 55 000 bottles, of which a third is exported.